Are you ready for...a new Taylor Swift album? As the superstar singer bids farewell to her reputation era, she continues to tease her "next chapter." 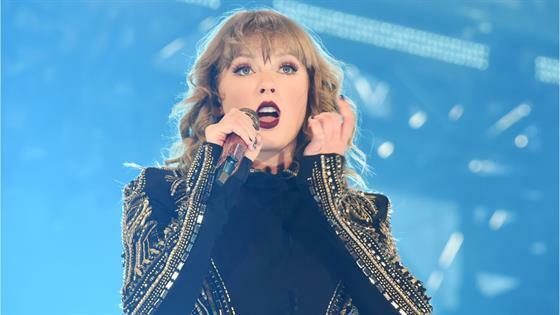 When T.Swift took the stage at October's 2018 AMAs, where she won multiple awards, the "End Game" artist gave fans hope for what's to come. Since that time, fans have been paying extra close attention to Swift, hoping to find some TS7 clues. Some Swifties even think the singer dropped a major clue with her New Year's Eve outfit. Earlier this week, Swift hosted a star-studded New Year's Eve bash at her place in New York City. Guests at the party included Gigi Hadid, Blake Lively and Ryan Reynolds. For the occasion, Swift told her Instagram followers, the group decided to dress up as their childhood heroes. Though Swift's post seemed innocent, many fans believe her costume was a hint at TS7's theme: mermaids. One savvy social media user, who spotted Swift wearing mermaids on multiple occasions during her reputation era, tweeted this week, "IS !!! TAYLOR?!! ALREADY??? GIVING US ??!!! TS7 CLUES?!! OMFG THE MERMAIDS IS TS7 THEME IM-????" Most notably, Swift appears to be wearing a shirt with mermaids on it at the end of her reputation concert movie, released this week. In the final scene of the film we see a smiling Swift happily skipping away...into her next era, perhaps? Fun fact: The Little Mermaid was released on Nov. 13, 1989, exactly one month before T.Swift was born. Let the TS7 theories continue!